Use statistics and data science to uncover both problematic code and the behavioral patterns of the developers who build your software. This combination gives you insights you can't get from the code alone. Use these insights to prioritize refactoring needs, measure their effect, find implicit dependencies between different modules, and automatically create knowledge maps of your system based on actual code contributions. In a radical, much-needed change from common practice, guide organizational decisions with objective data by measuring how well your development teams align with the software architecture. Discover a comprehensive set of practical analysis techniques based on version-control data, where each point is illustrated with a case study from a real-world codebase. Because the techniques are language neutral, you can apply them to your own code no matter what programming language you use. Guide organizational decisions with objective data by measuring how well your development teams align with the software architecture. 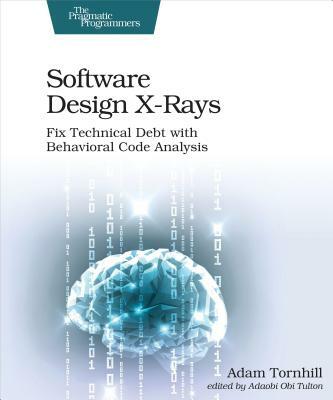 Apply research findings from social psychology to software development, ensuring you get the tools you need to coach your organization towards better code. If you're an experienced programmer, software architect, or technical manager, you'll get a new perspective that will change how you work with code. You don't have to install anything to follow along in the book. TThe case studies in the book use well-known open source projects hosted on GitHub. You'll use CodeScene, a free software analysis tool for open source projects, for the case studies. We also discuss alternative tooling options where they exist.